IFA 2017: LG Launches V30, A Snapdragon 835 Beast With Dual Camera! Home / lg / mobile / news / IFA 2017: LG Launches V30, A Snapdragon 835 Beast With Dual Camera! Just in! 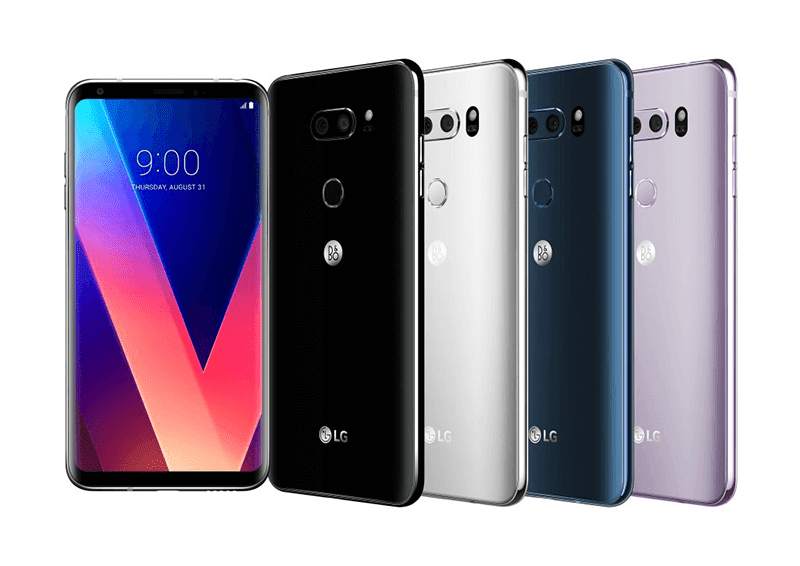 Today, LG Mobile just made the highly anticipated V30 official, the company's latest flagship smartphone with noticeable upgrades coming from LG G6. Like the rest of the V-series, the new LG V30 has MIL-STD-810G rating. Moreover, it has IP68 water and dust resistance over 1.5 meters for 30 minutes. But, like the G6, the main attraction of this device is its screen. LG V30 rocks a 6 inch P-OLED display with 18:9 aspect ratio, HDR 10, and Dolby Vision compliance for an awesome near full screen experience. It won't have the secondary display anymore, but it will have the always on display tech for notifications. Inside, this device is a beast. It now has Qualcomm's Snapdragon 835 octa core processor which is faster and better than the ageing Snapdragon 821 quad core chip found on the LG G6. It will be paired with 4 GB of RAM and either 64 or 128 GB of expandable storage. Beastly cameras on a phone! The cameras were upgraded as well. It now has a 16 MP f/1.6 sensor, the highest aperture on any phone today paired with another 13 MP f/1.9 sensor for wide angle support. The dual camera setup of this phone also has OIS, laser AF, PDAF focus, and dual tone LED flash. LG also boasts that it will be paired with the glass Crystal Clear Lens which delivers more accurate colors and clearer images than a plastic lens. The front camera is still at 5 MP though. It will also have an improved 32 bit audio ready quad HiFi DAC. According to LG, the V30 is the first global smartphone to support MQA (Master Quality Authenticated) technology that allows for the streaming of high-resolution audio. But, it is subject to regional availability, as are the in-box B&O headphones. The V30 will also include an Acoustic Overload Point microphones and ability to shoot video with a log curve and color grade it later. Related: LG V30+ is now on pre-order at Digital Walker, priced at PHP 46,990! Overall, the LG V30 seems to be the right contender to match or beat the recently released Galaxy Note 8 flagship. We're also very excited for its 16 MP f/1.6 + 13 MP f/1.9 dual camera setup that has the potential to be the very best right now.